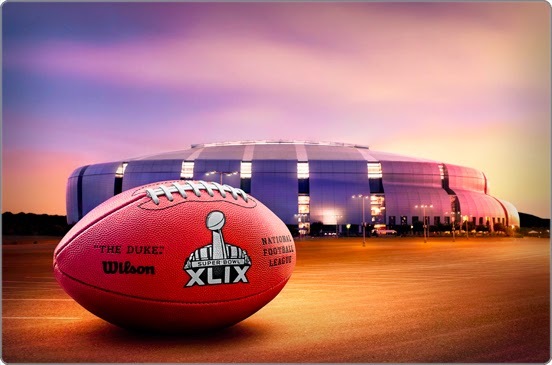 If you don’t have the opportunity to attend any of the events here in Arizona that doesn’t mean you can’t throw one amazing Super Bowl party for your friends and families. 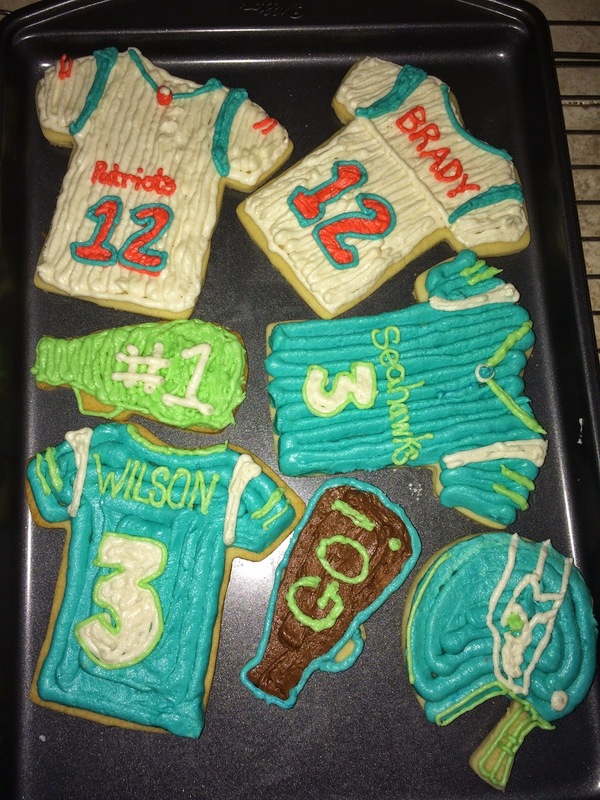 We have come up with a list of creative crafts and food items, or what we like to call frafts, to make sure you have a memorable Super Bowl party! 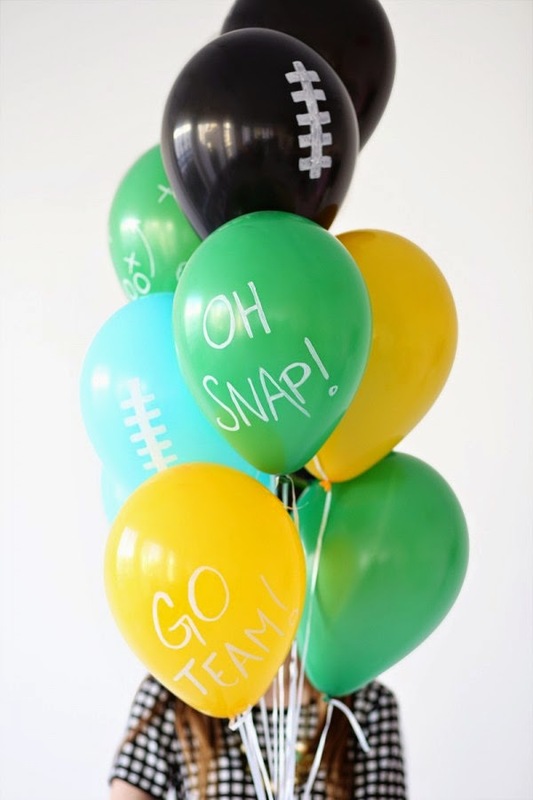 For some fun, and easy decor ideas we found some adorable ways to make your home party central! 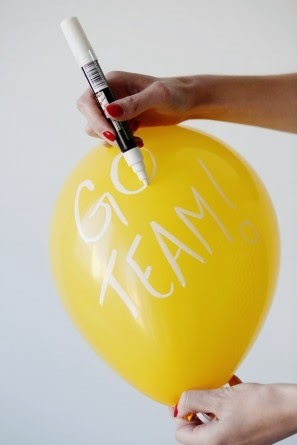 Depending on the team you are rooting for purchase color coordinating balloons at your local party store. 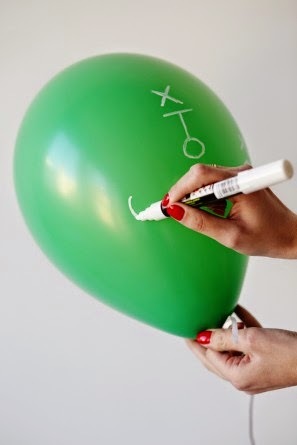 Then purchase a white pen marker to decorate the balloons. Decorate with various play calls, cheers, and football stitches. We found it easiest to separate each balloon from the bundle, decorate and let it dry before tying them back together again. There are so many different drink options to help liven up your party. 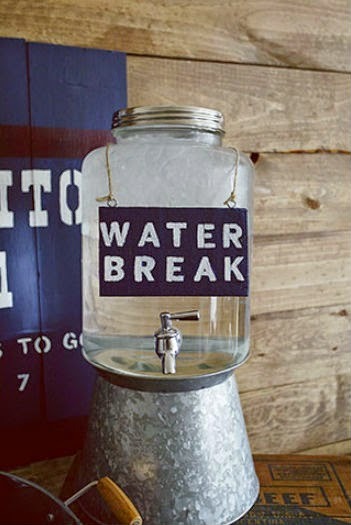 Easy ways to make simple drinks like water and tea have a football theme is to make chalkboard sign that states “Water Break” and mason jar cups with either white tape to look like a football or you can use the same chalk board pen used in the decor items above. Grab your favorite chocolate cupcake recipe chocolate frosting, and vanilla frosting. 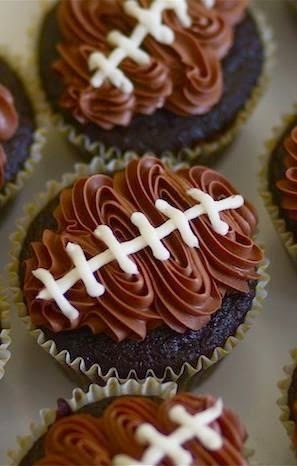 Be sure to have the correct frosting tubes and tips to design the football on top of the cupcakes. This we have seen done a few different ways. 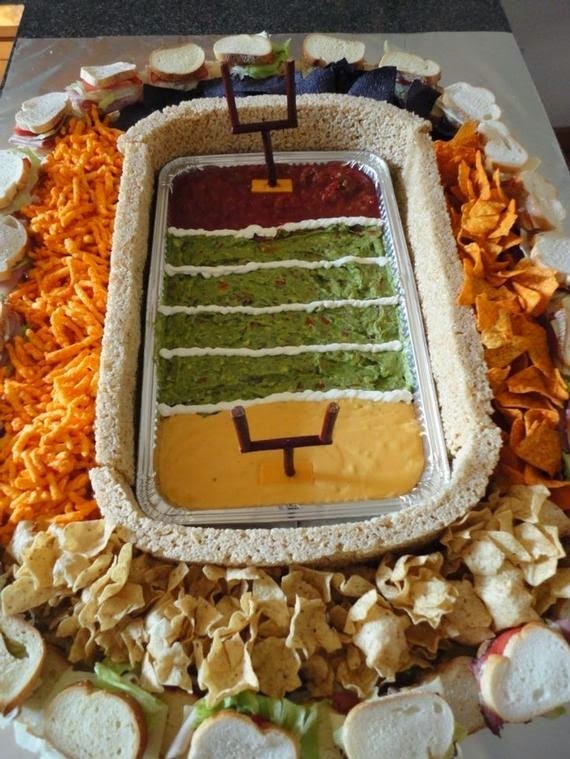 We wanted to created a football field dip with 3 different options and plenty of dipping choices. Place the dip in a tin tray and use sour cream to create the yard lines. To help keep the chips stay in place you can add bread around the edges of the tray to ensure that they don’t fall into the dip. 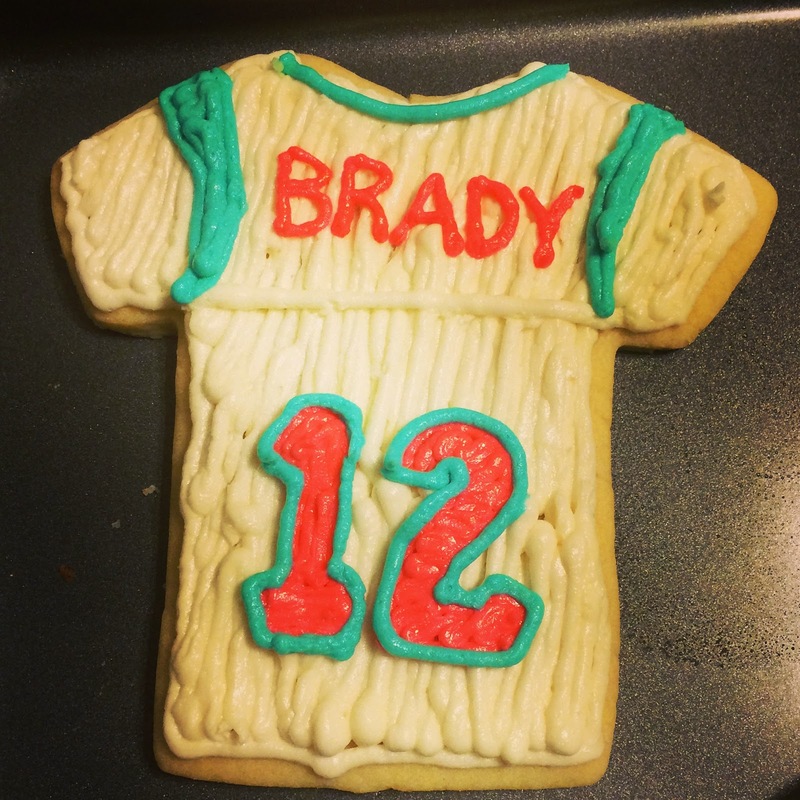 Watch your guest tear up the field as they enjoy this tasty treat! The great thing about sugar cookies is you just need fun cookie cutters, food coloring and a set of frosting tips to make a themed cookie display! 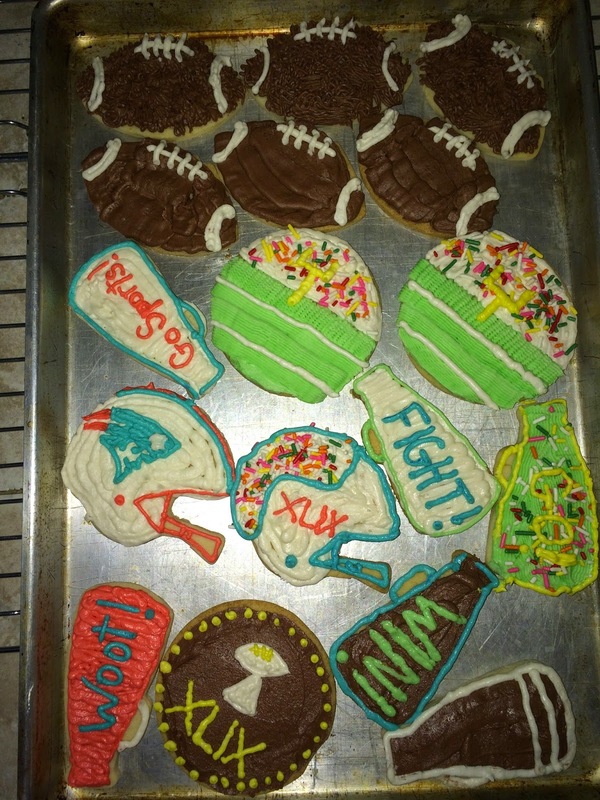 Even a circle cookie cutter can turn into a football stadium! The key is picking the right frosting. We love Jenny Keller’s recipe from Eat More Dessert. It’s a nontraditional buttercream that doesn’t get too melty, but also doesn’t get hard, which is perfect for decorating quickly. Don’t forget to separate your frosting so that you can use one batch for multiple colors! 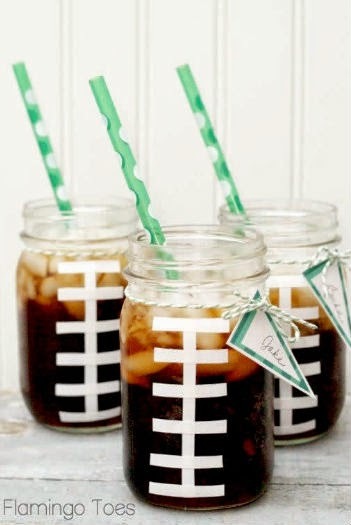 We hope the tips and tricks make it easier for you to throw an amazing Super Bowl party! Over at Your Jubilee we are Team Katy and are looking forward to the half time show! Have a fun football weekend!